Want to make your own hours and become your own boss? 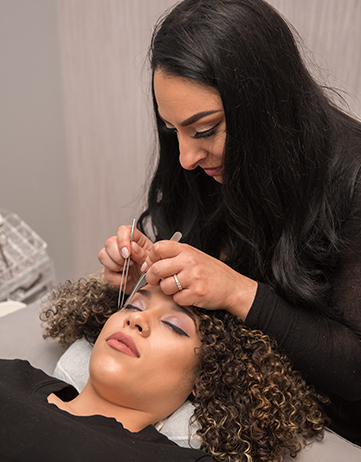 Receive the proper training and certification from our talented and licensed lash artists! A nonrefundable deposit of $150 to hold your spot. Final payment will be required on the day of the class. 7-8 hours for the course. The amount of hours required could be shorter depending on how quickly the technique can be learned. A model that will available for 4 hours and should not consume any caffeinated beverages the day of your training. As the student, please do not consume any caffeinated beverages. Caffeinated beverages will impact your performance. READY TO LEARN TO LASH?